arthaus.berlin is an international training and research centre for theatre and performance makers from around the world interested in deepening their journey as creators of their own work. We wish to support the development of artistic autonomy, the quest for new artistic visions and the emergence of a more integral consciousness at the beginning of the 21st century, in the arts itself and contemporary culture as a whole. Our approach addresses as well educators, teachers and practitioners working in environments for professional development or personal growth through use of movement and performance. Our work is both poetic and practical, process based as well as outcome orientated. 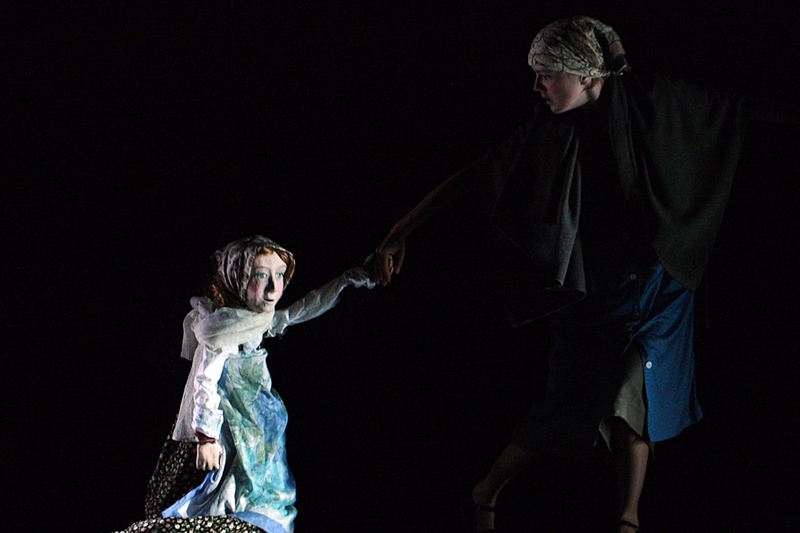 All our postgraduate programs take the moving body as a point of departure for the creation of original work and applies the fundamental principles of movement to performing, writing, directing, choreographing, filmmaking or any other form of creative expression in the field of contemporary performance making. Our aim is to give our students the support they wish to receive in order to be able to create work, which is authentic, embodied and relevant. Devised theatre and performance has become a truly inspiring international movement and is part of a bigger paradigm shift in contemporary culture. Artistic and personal autonomy, collaborative as well as interdisciplinary ensemble work and the possibility to participate actively in the creation of today’s and tomorrow’s cultural landscape are some of the most important driving forces behind the decision of a growing number of theatre and performing artists to create their own work. arthaus.berlin addresses practitioners from around the world who wish to be a part of this exciting movement. Whether you wish to explore new creative pathways within your already existing artistic practice as an actress, writer, dancer, performer, visual artist, designer, director, etc , challenge your own boundaries within an international training and research environment, explore the relationships between devised performance practices and other fields of knowledge such as anthropology, ecology, politics, psychology, social sciences, etc., or deepen your leadership skills in the performing, educational or performance based healing arts, we aim to offer a place, where all this can happen. All our MA, MFA and certificate programs are based on the vision to offer you a space for embodied learning through exploration, collaboration, mindfulness and pleasure. A space to shape your own artistic vision or the voice of your generation. A space for you to learn how to support others on their quest towards more autonomy through means of movement, performance and other forms of creative expression. Our pedagogical matrix is based on an understanding of any creative act as an interplay of a wide range of faculties, which the artist needs to foster through rigorous practice in order to be able to create work, which uses the fullness of the creative potential available to all of us. The more faculties we are able to integrate skillfully into our creative process, the richer our work will be. Our programs invite each of our students to develop a more holistic perspective on the creative process and the qualities needed in order to be able to create original work, whether in collaboration with others or alone, whether for a professional production or in an educational setting. We want you to become the artist, you wish to be, and hope to provide you a challenging and supportive environment, whether you join us for a workshop or a degree program. We aim to be a place, where rigorous training meets the pleasures of playfulness, where academic research meets personal process and where each student can grow within the challenging and stimulating environment of an international arts community. So have a look at our different postgraduate degree, certificate and workshop programs. And should you feel, that this is the place you wish to be, then we look forward to meet you in person, here in Berlin, on our campus at the Eden Studios. new creative pathways within your already existing artistic practice as an actress, writer, dancer, performer, visual artist, designer, director, etc , challenge your own boundaries within an international training and research environment, explore the relationships between devised performance practices and other fields of knowledge such as anthropology, ecology, politics, psychology, social sciences, etc., or deepen your leadership skills in the performing, educational or performance based healing arts, we aim to offer a place, where all this can happen. All our MA, MFA and certificate programs are based on the vision to offer you a space for embodied learning through exploration, collaboration, mindfulness and pleasure. A space to shape your own artistic vision or the voice of your generation. A space for you to learn how to support others on their quest towards more autonomy through means of movement, performance and other forms of creative expression. 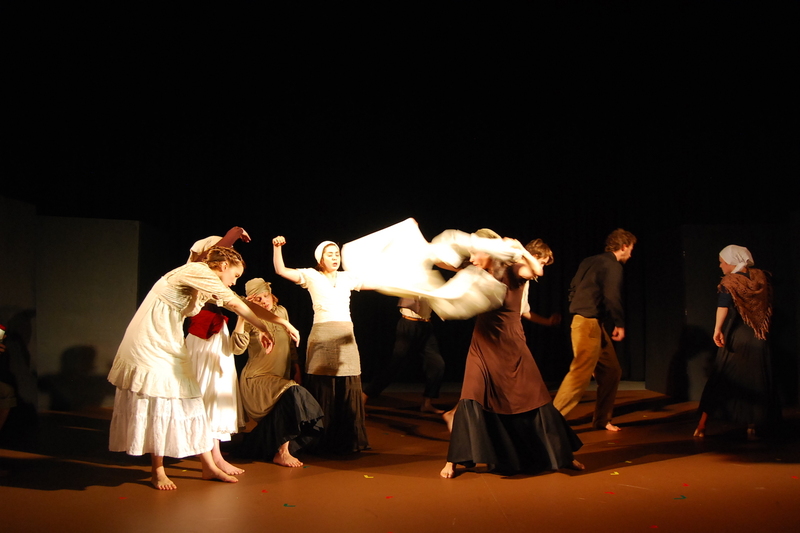 The arthaus.berlin international school for theatre and performance makers offers MA and MFA degree programs for devised theatre and performance in collaboration with Rose Bruford College in London and Columbia College in Chicago as well as certificate full-time courses in Devised Theatre and Performance and Embodied Dramaturgy. The arthaus.berlin international workshop and research space provides opportunities for professional development through short term training, artistic research opportunities and conferences, which aim to offer a forum for interdisciplinary exchange. The Thomas Prattki Centre for Integral Movement and Performance Studies addresses practitioners interested in embodied leadership, psychodynamic movement process and an integral performance praxis within the performing, healing and educational arts and presents an MA degree program in Integral Movement and Performance Practice in collaboration with Rose Bruford College as well as certificate programs and a rich workshop program. The Eden Studios are located in the leafy district of Berlin Pankow, right next to the trendy area of Prenzlauer Berg with its cafes, bars and restaurants. You can easily reach the studios by public transport and the center of Berlin is less than a 10 minute tube ride away. Eden offers five new studios between 150- 300sqm with wooden sprung floors and amazing views of the surrounding park. The Eden has also a café with an outdoor terrace for sunny days and offers catering with vegetarian food. The city of Berlin is considered to be one of Europe’s most “cutting edge” capitals. Well known for its liberal lifestyle and postmodern zeitgeist, Berlin is youthful, artistic and “hip” and has everything to offer one would expect from an international metropolis. At the same time, the city remains one of the world’s most affordable places for students, with relatively low costs for accommodation, food, public transport etc. in comparison to other Western European capitals.